Will Lee has returned to his roots to kick off his campaign for the Senate. A prominent lawyer, he has come back to his hometown of Delano, Georgia, to plan his strategies...and to argue an explosively controversial case that could seriously damage his political career. For Delano is a town with a dark secret - a smoldering hotbed of racial hatred and moral outrage, held in the thrall of a sinister white-supremacist group called The Elect... a breeding ground for violent, evil forces that will stop at nothing to keep the candidate out of office. At first, Will Lee was running for the Senate. But now he is running for his life. First, I must admit that I enjoyed this book. Especially the narration. Will Lee as the central character lacked some of the depth of Woods' "Chiefs" characters, but was good for the most part. It was, at times, difficult to find fault with him, and then in the blink of an eye, that appraisal slipped precariously. However, the core issue of the story pivots on the principal that liberal democrats are the white-hatted good folks and the right wing, radical republicans are the black-hatted evil folks. Oh yes, and conservative religion is equally immoral and remiss. That is the hard sell of the story and might make it unpalatable for some. Still, there is considerable court room drama, a good deal of lawyering and a plethora of mysteries to resolve. That's what kept me listening. This one isn't as good as "Chiefs", but entertaining, nevertheless. This book is well written (and masterfully read) propaganda that doesn’t present ideological differences so much as represents an extreme side of one of them … the progressive side. The hero is a Democrat saint (note the capital D).. perfect in every way. His opponents are indolent womanizing drunks at best, evil fascist murderous militia Republican Christians at worst. 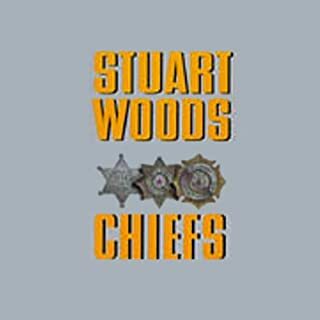 Once upon a time, Woods knew how to find the nuance of life (In his masterful "Chiefs" for example). Apparently his followers don’t need no stahnkin’ nuance :-}. Still, I enjoyed the story and realized if every Republican conservative was satanic as Woods wants us to believe, then an epic battle for good is the only moral alternative. In Grass Roots, only one side is close minded. But I wonder if Woods himself realizes which side that might be? “Right” versus, not disagreement but, immoral EVIL (all in caps) is what this book’s about. 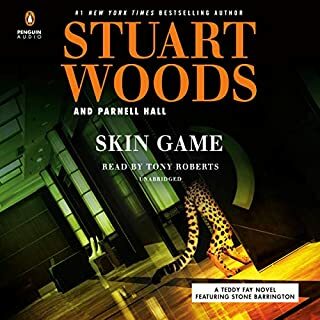 Woods is a masterful polemicist. He coats his one-sided message in righteous honey. Progressives will love the way Woods reveals a sinister racist conspiracy behind everything. Conservatives are used to that POV dominating movies, TV, newspapers, magazines, books, and even music (ever listened to Rap?). So they’ll be entertained by the storyline, even if they’d wish that once in a while a high-craft writer like Woods could conceive of situations where, because of the limits on resources, choices must be made not between perfection and evil, but between two goods. I guess the problem with nuance is, it’s not as motivating to write about the possibility that your side might not be, well, saintly? George Guidall, once again creates a production that even makes the lead character's frequent political harangues, philosophical assertions, and ideological polar positions feel as comfortably correct as the voices who read TV advertisements that successfully sell us laundry soap and politicians. 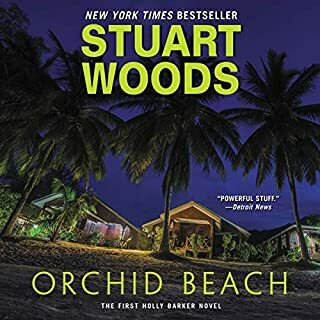 After reading "Chiefs" I looked at what else Mr Woods had written and was both glad and saddened that Audible had only one more book available in the 'Will Lee' series. This book was worth both my time and money. I thoughly enjoyed a trip back to modern day Delano, GA with a new set of characters. George Guidall was magnificant as usual. I am disappointed that Audible does not have more books in the Will Lee series available and I am hoping that will change. If Guidall is not available for the narration Mr Hammer is certainly more than capable. Great read. The book is chock full of politics--Georgia politics at it's best. The characters are rich and full. In the mold of "Chiefs", it continues the Will Lee saga. You knew that our hero would be elected to the US Senate, it was only the process that was in question. Fun read. George Guidall does his usual outstanding job of narration, but there is no way to salvage this novel. 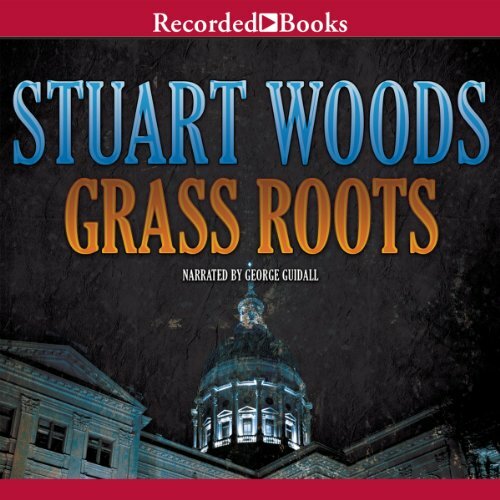 Grass Roots is Book 4 in Stuart Woods' Will Lee series. Chiefs , the first Will Lee book, starts off the series well. All of the series was written before Woods began the Stone Barrington series in 1991 (Grass Roots were released in 1989). 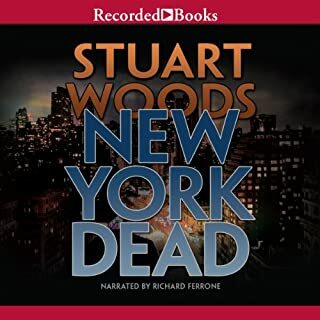 Stuart Woods is a mediocre if prolific author of police and legal thrillers. He is likely incapable of writing 5 star thrillers, but he can write mostly 3 star and occasional star novels - Chiefs is a fine example of his best 4 star novels. The major weakness of Woods' writing is poor character development. Another issue is research; he does little research and as a result his books are filled with errors. 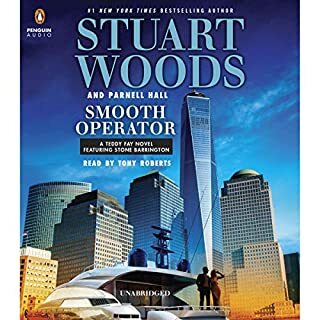 I am amazed that Woods has been able to make a living writing novels. 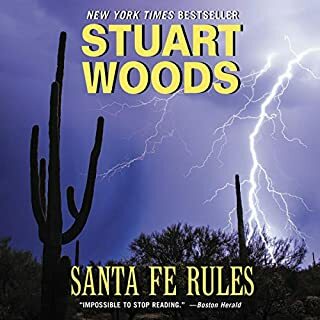 This is definitely my last Stuart Woods novel. Since he can not make the effort to develop his characters or do research, I shall not invest money in or take the time to read his books. George Guidall never lets us down. George Guidall is awesome story teller, whether it is Mitch Rapp or Stuart Woods collection. The Lee series is a well thought out and enjoyable read. The characters are well developed and the series has a rhythm that truly their own in the rolling out of the plot. Not that good; weak storyline. I so wanted this book to end. Certainly not his best work. Narrator was decent, though. What disappointed you about Grass Roots? So predictable and improbable. Was going fine but when the second story line was introduced I felt sure we were headed downhill and I was right. Too many improbable parts were introduced, one right after the other in a very short time that you could see where this was going. dumb. the narrator, George Guidall, is excellent but the poor quality of the plot overwhelms even him. The author constructs the story fine to begin with but then bludgeons the book with a sudden stupidity in the multiple plot turns that are predictable after the first one.